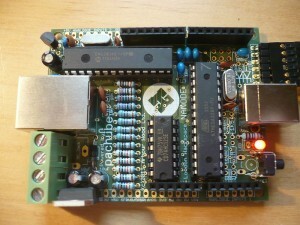 The Nanode is a web enabled Arduino clone kit. It is available for $22.75 here. Check out our new Nanode tutorials. If you have one, and are thinking “OK, I’ve bought the kit. Now what?” go to the Use It page for step-by-step instructions. Often, we need to get sensor information up onto the web, or control something from the web. 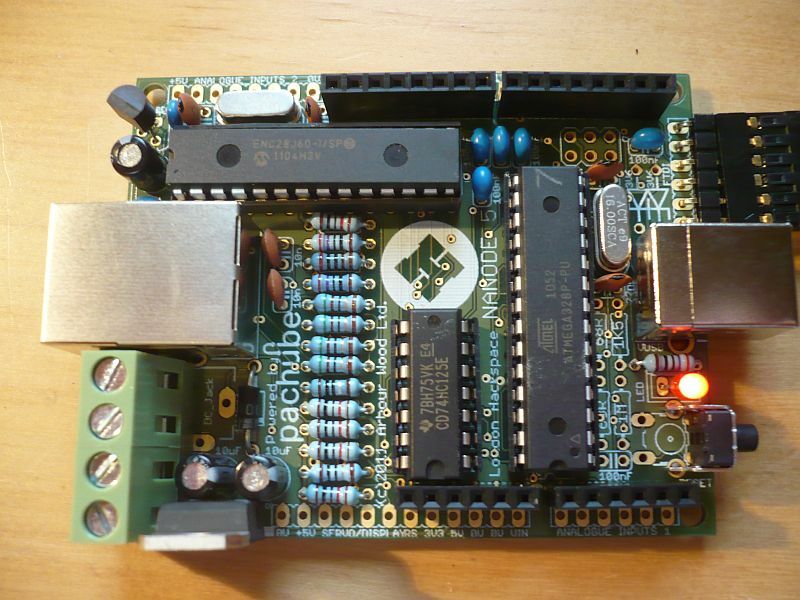 The simplest way to do this is to install a simple microcontroller with web access. This is what the Nanode is. It works especially well with services like Pachube. Basic environmental monitoring with Nanode and Pachube.